Nashville, Tenn. (August 21, 2013) - sixstepsrecords is celebrating 17 nominations for the 44th Annual GMA Dove Awards with Matt Redman and Chris Tomlin leading the impressive nominations list with nine Dove nominations each. Kristian Stanfill and Crowder (David Crowder*Band) also received six Dove nominations each. The list of nominees was announced earlier today by the Gospel Music Association and special guests at Nashville's Lipscomb University. GRAMMY® winner Chris Tomlin received nine top nods which include "Praise & Worship Album of the Year," "Pop/Contemporary Album of the Year," "Artist of the Year" and "Song of the Year" for his song "Whom Shall I Fear (God of Angel Armies)." Chris Tomlin is also one of five nominees in this years "Artist of the Year" category. Two-time GRAMMY® winner Matt Redman also continues a year of impressive accolades. His nine nods include this year's top categories for "Songwriter of the Year," "Song of the Year" and "Contemporary Christian Performance of the Year" for his hit song "10,000 Reasons (Bless the Lord)." The multi-week No. 1 song also received a nomination for "Pop/Contemporary Song of the Year" and "Praise & Worship Song of the Year." GMA Dove Award winner and worship leader Kristian Stanfill received six nominations. His powerful hit anthem "One Thing Remains" received nods in both the "Song of the Year" category and "Praise & Worship Song of the Year" category. GRAMMY® nominated David Crowder*Band received two nods for their album Give Us Rest (A Requiem Mass in C [The Happiest of All Keys]) for "Rock/Contemporary Album of the Year" and "Recorded Music Packaging of the Year." Additionally, Redman, Tomlin, Stanfill, Crowder and the sixstepsrecords team received four more nominations for Passion: Let The Future Begin and Passion: White Flag, both of which are nominated in the "Special Event Album of the Year" and "Praise & Worship Album of the Year" categories. The 44th Annual GMA Dove Awards will be held on Tuesday, October 15, 2013 at 8:30 p.m. EST with red carpet reception ceremonies starting at 6:30 p.m. EST at Lipscomb University's Allen Arena in Nashville, Tennessee. The evening will be full of rare and exciting performances showcasing the genre's hottest, most diverse artists and televised on Monday, October 21st at 8:00 ET nationwide exclusively on UP! Television Network. Tickets to the 44th Annual GMA Dove Awards are now on sale at the Allen Arena box office in Nashville or at www.ticketsnashville.com. Founded in 2000 by Louie Giglio, sixstepsrecords is a worship label and a division of Passion Conferences. 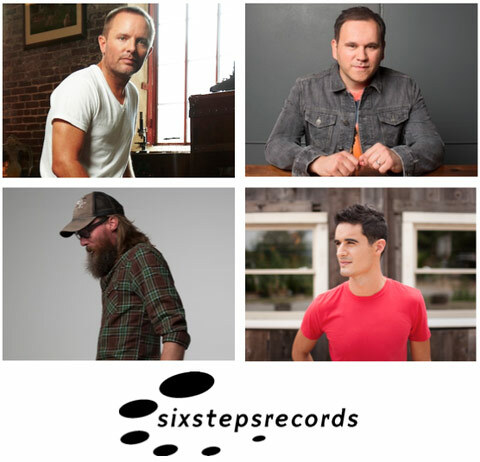 sixstepsrecords' artists include Chris Tomlin (Burning Lights), Crowder (Give Us Rest), Matt Redman (10,000 Reasons), Christy Nockels (Into the Glorious), Kristian Stanfill (Mountains Move), and Passion (Passion: Let The Future Begin). The label partners with Sparrow Records/Capitol Christian Music Group for A&R, marketing, sales and distribution operations. For more information on sixsteprecords, visit: www.sixstepsrecords.com.